Holiday Witch (Torrent Witches Cozy Mysteries #5) now available! 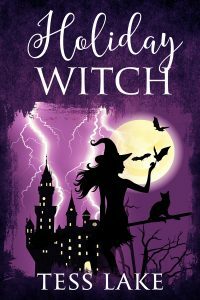 Harlow Torrent, part-time journalist and full-time Slip Witch wants nothing more than to take a holiday from witchy things… but when a series of thefts around Harlot Bay turn deadly, she’s drawn into solving a murder mystery. Book #5 of the Torrent Witches Cozy Mysteries series now available at Amazon!